The three university courses delivered in 2015, within the framework of the Mecalux UPC classroom, were created through the collaborative agreement between the UPC (Universitat Politècnica de Catalunya), the ETSEIB (Escola Tècnica Superior d’Enginyeria Industrial) of Barcelona and Mecalux, all being extremely reputable parties. Due to success, this new training modules will be taught throughout 2016, which will give new students the opportunity to deepen their understanding of subjects such as the development of structures, robotics and the automation of storage facilities. 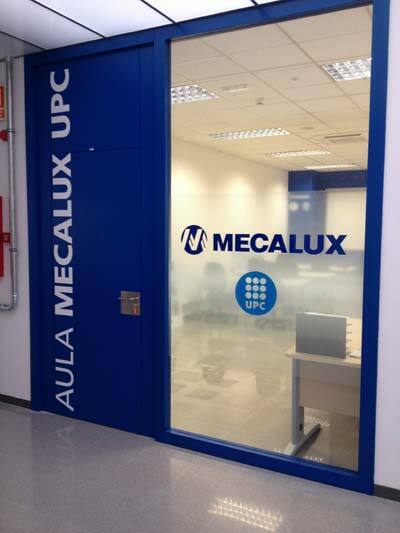 The objective of the UPC Mecalux Aula is to train up tomorrow’s professionals and provide them with the tools necessary to make advances in R&D&I within the logistics industry. To this end, Mecalux offers scholarships covering course fees for UPC master’s students, which fulfil the entry requirements, in addition to putting the Mecalux technological centres at their disposal and offering them the possibility of starting their career in the company. New courses are scheduled to start in March of 2016, with 30 lecture hours, at the Mecalux UPC classroom premises. As a company that bases its leadership on technological innovation, Mecalux has for years been committed to fostering this company-University relationship, collaborating with the UPC and in particular with the ETSEIB, since 1979. All this through the Department of Material Resistance (LERMA), with which it has developed an Experimental Analysis of Characterisations program and another of Research and Development. Along these lines, the two entities have promoted the creation the Mecalux UPC Aula, as a means of consolidating long term collaboration in R&D&I activities and the transfer of research results and scientific dissemination within integral logistics related topics.